Over the course of four days in July, Coach released a fresh fall campaign shot by Steven Meisel and cut over 150 jobs, two stops on its path toward what it hopes will be an aesthetic and financial turnaround. As the moment of truth draws closer — Stuart Vevers&apos; first collection as creative director will hit stores in full this fall — the brand has a lot prove, as sales for its fourth quarter dropped seven percent relative to the year prior. To be fair, that&apos;s not nearly as disappointing as Coach&apos;s third quarter performance, during which North American sales declined 18 percent due to weak demand for its core business of bags and accessories. And it wasn&apos;t bad across the board: While North American sales fell 16 percent, comparable sales in China showed double digit growth. In total, the brand pulled in $164 million in revenue in the last quarter, which ended June 28. So maybe Coach is coming around the bend with consumers. On the company&apos;s earnings call Tuesday morning, CEO Victor Luis stuck to the brand transformation message, while acknowledging that it&apos;s been a difficult year sales-wise. As far as handbags go, Stateside shoppers are showing more interest in Coach&apos;s $400 price bucket, which now accounts for 21 percent of the category&apos;s sales, up from 16 percent last year. Luis noted that Coach&apos;s price point is also the fastest-growing segment of the handbag market in Europe, a region that represents the largest white space in Coach&apos;s business. It&apos;s getting hard to say that we&apos;ll have to wait until Vevers&apos;s designs reaches consumers and its new store concepts open in November to know how well this brand reimagining has worked out, but we&apos;re nearly there. Finally. 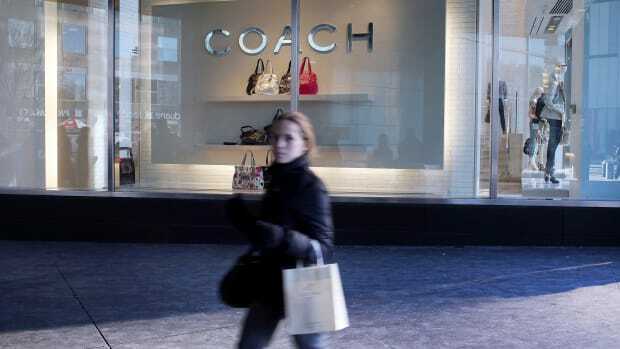 Let&apos;s see if Coach can now turn those declining sales into something resembling growth. The mall mainstay's second quarter results were better than expected, but still not great.